The winter months can be brutal due to both the drop in temperature and the spike in your utility bill. It’s common to see an increase in your monthly bill once you start using your heater 24/7. However, a significant rise in the cost could be a cause for concern. In today’s post, we will look at a few reasons why your bills may be so high this year. If your heater is old or in need of repair, then you need an HVAC company that will be there whenever you need them. We are proud to provide residents of New Jersey with the expert heating and air conditioning services they need. Whether you need a repair, replacement, or you simply want to ensure that your heating system will function properly all winter long, our HVAC company is here to lend a hand. Give us a call today to schedule an appointment. One of the most common reasons people see a spike in their heating bill is because cold air is leaking into their home without their knowledge. Your windows, doors, and even your roof can all be areas in which you’re losing heat and letting in colder air. Before the coldest weather hits, go through your home and try to seal as many areas as possible. You can also check out our previous post where we detailed some of the most common places to lose heat in your home. Many people are unaware that their thermostat can have a huge impact on their heating bill. When you’re feeling cold, it’s natural to want to turn up the heat, or even turn it down again once you warm up. However, frequently adjusting your thermostat can not only cause your heating bill to rise, but it can also make your heating system work less efficiently. Instead, it’s best to set up a programmable thermostat in which you schedule times for your heating system to raise or lower the temperature. Then, when you start to feel cold, try adding more layers or even putting on a pair of shoes to try and warm up. If your heating system uses ductwork to transport the warm air throughout your home, one of the reasons you may have a higher utility bill could be due to leaks in your ducts. 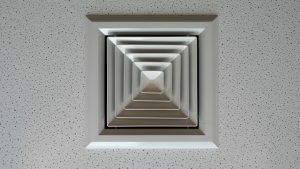 Ducts are used to transport the heat from your heating system, out the vents, and into your home. If there are leaks, then only some of the heat may be reaching the vents. As you can imagine, this will cause your system to work harder in order to get your home to reach the proper temperature. If you suspect that leaking ducts are the cause of your elevated heating bill, then contact us as soon as possible. Most appliances in your home have an expiration date, and your heating system is no exception. Older heating systems don’t work as efficiently as they should, and over time they may start to have more and more problems. If you haven’t replaced your heating system in more than 10 years, then it may be time to upgrade to a newer model. Luckily, the experts at our HVAC company are here to help! We are experts in all things heating and air conditioning, and we are proud to provide residents of New Jersey with the professional services they deserve. Don’t wait until there’s a problem. Contact us today!